Nigeria’s pop star, Ayo Balogun, popularly known as Wizkid, has been nominated for the 2017 Grammy Awards, for his song ‘One Dance’. 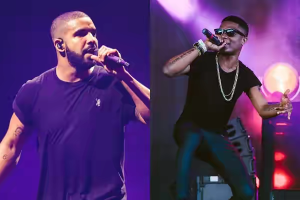 Wizkid recorded the hit track with Canadian rapper, Drake and Filipino singer, Kyla. Although the award was originally presented to the artist alone, the award is now presented to the main artist, the featured artist(s), the producer, the engineer and/or mixer and the mastering engineer. Beyonce leads the way with a total of nine nominations including Album of the Year. Drake, Kanye West and Rihanna follow, all with eight nominations. Big names like Drake, Justin Bieber, Adele, Beyonce and Sturgill Simpson, will go head-to-head for Album of the Year.